Here’s some seriously cool news for you Launchies! 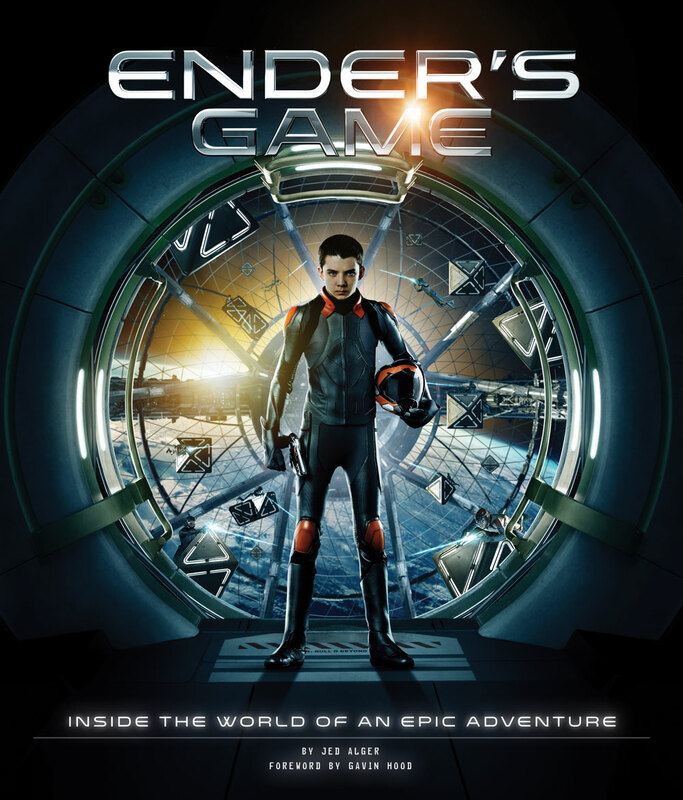 Publisher Insight Editions will be releasing a companion book for the Ender’s Game movie titled Ender’s Game: Inside the World of an Epic Adventure. Your fansites are here to unveil the cover for the new book, due out sometime before the movie’s release! Based on the best-selling novel, Ender’s Game tells the thrilling story of the fight to save the world from a devastating future. Now, in this official companion volume, the behind-the-scenes world of the film is brought into stunning focus. Following an attack by an alien race known as the Formics—narrowly countered thanks only to the efforts of legendary war hero Mazer Rackham (Ben Kingsley)—Earth has been preparing itself for the next wave in the conflict. The fate of humanity lies in finding the next Mazer from a crop of the brightest young minds on the planet. Under the watchful eye of the International Fleet, the venerated Colonel Hyrum Graff (Harrison Ford) has been tasked with overseeing their training. Before long, a standout emerges among them: Ender Wiggin (Asa Butterfield), a shy but prodigiously talented misfit. His potential discovered, Ender is promoted to Command School, where he will soon find the war with the Formics to be more complex than he could have ever imagined. Packed with in-depth interviews, removable posters and army badges, stunning concept art, unparalleled access to the visual effects archives at Digital Domain, and countless full-color images, this insightful insider’s view of the making of Ender’s Game will bring fans closer into the world of the movie, following cast and crew as it is brought to dazzling life. Also featuring Hailee Steinfeld (True Grit) as Petra Arkanian, Viola Davis (The Help) as Major Gwen Anderson, and Abigail Breslin (Little Miss Sunshine) as Ender’s brilliant older sister, Valentine. Jed Alger is the author of The Art and Making of ParaNorman. An advertising writer and creative director with more than twenty years of experience, he has worked on some of the biggest, most challenging brands in the world—Google, Twitter, IBM, Microsoft, Starbucks, Target, Electronic Arts, and Hewlett-Packard among them. Jed graduated from Dartmouth College with a degree in philosophy and received his MFA in creative writing from Columbia University. He lives in Portland, Oregon. Gavin Hood is a South African filmmaker, screenwriter, producer, and actor, best known for writing and directing the Academy Award–winning foreign language film Tsotsi. He is also the director of X-Men Origins: Wolverine, among several other films. For those of you that don’t care about spoilers, this sounds like heavenly access to the making of the film. For those of you that are afraid of seeing too much, you may want to buy it and leave it unopened until you see the movie! I know that when the Hunger Games companion books came out people got upset with themselves for not being able to resist looking at all the imagery. You can pre-order the book on Amazon.com for $32.95 or at Barnes & Noble for $33.61. Many thanks to Summit for giving us the chance to unveil the cover!